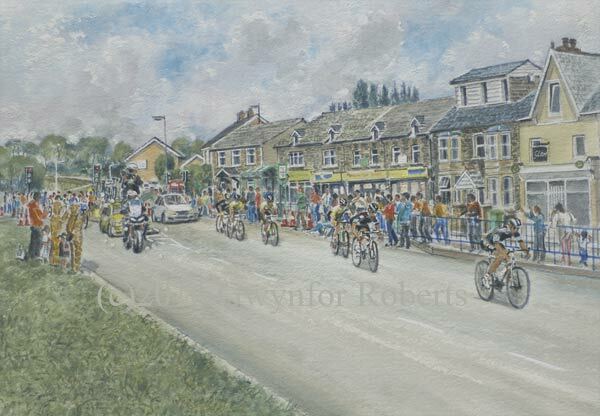 The 2015 Velothon, Wales Cycle Race is shown here passing thought Maesycwmmer. I spent quite a lot of time watching thousands of non-professional cyclists ride though and later the professional riders seen here, followed. A good turn-out by the Maesycwmmer residents cheered the cyclists, on what seemed a long afternoon.